Backyard spring nature in New Jersey. 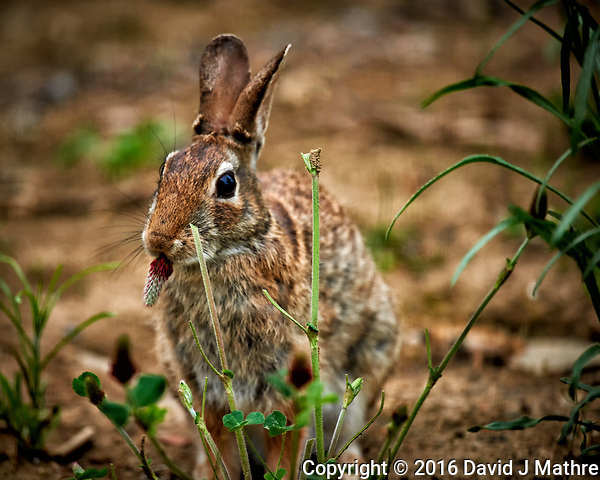 The rabbit in my wildflower garden started nibbling on the Italian (Crimson) clover. The Italian clover was part of the wildflower mixture. I also saw a groundhog brushing its teeth with some rebar, a robin in the rain, and a squirrel with a nut. All of the wildlife images were taken from within the house. Later on I went out with a macro lens to capture some flower pictures.